Hi All, hope everyone is enjoying the lovely summer we are having in the Uk this year. Just a quick note to let you know we will be closing on Friday 17th August, for our summer holidays. The last order to dispatch will go at 2pm, and therefore if you wish to order, please do so by 10am on the morning. Also now we have a bigger warehouse , we are stocking our new Mahoosive and Super mahoosive yarns. These come in 2 thicknesses, 2 cm which is great for fast knits and crochet, and 3 cm thick which can also be arm knitted. I am in the process of swatching, and so only have a few measurements for you. 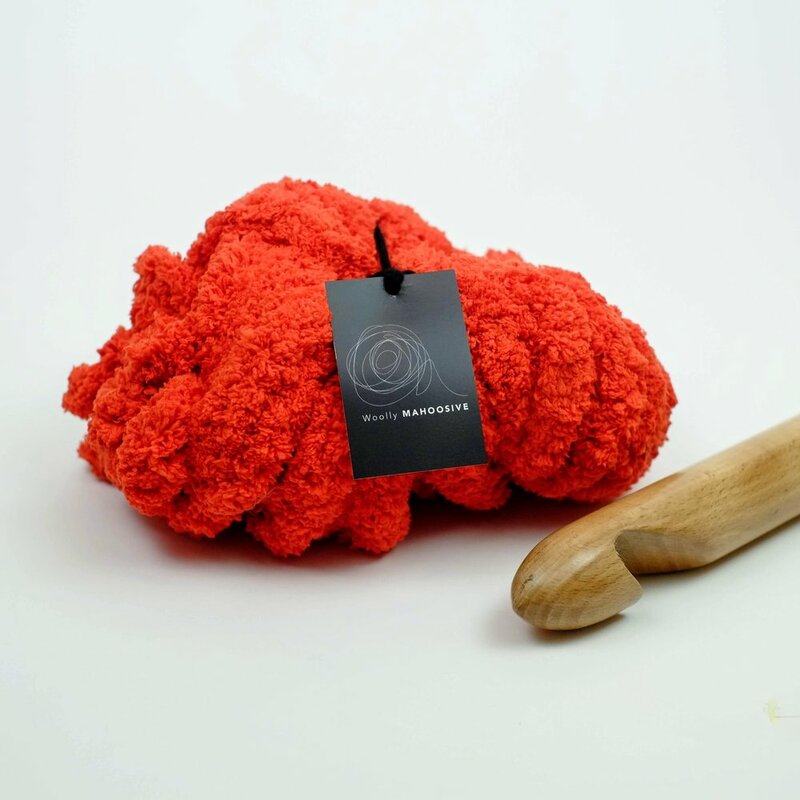 The 3 cm arm knits to a great sized chunky knit blanket, very similar in size to 2 kg of mammoth, using 4 x 300 grams. Yes you have to join it, but this is very simple and hardly shows. A double bed runner uses 3 x 300 grams and a king sized 4 x 300 grams. It is also great for dog or cat beds as washes well in the machine. We hope in the next few weeks to get this all down in a pamphlet, which we will include in orders. The 3 cm also comes in 11 great colours. 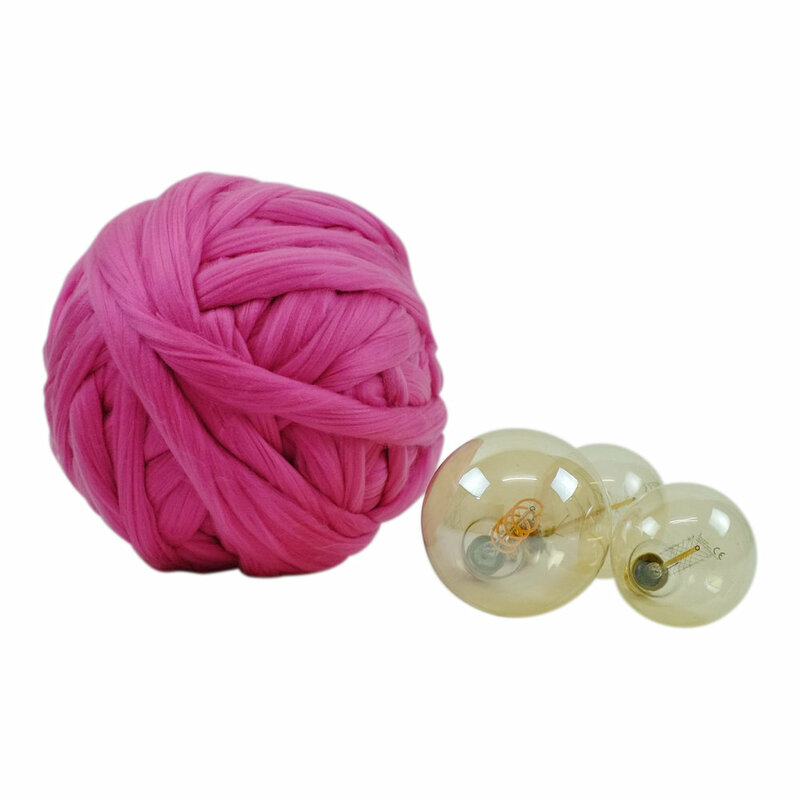 The 2 cm in 5 colours, is great for cushions and lampshade, or blankets if you wish to knit or crochet with a 25 mm hook or needle. Again we hope to get this all down to send with orders by September. Take a look at the colours below. It retails at £9.50 per 300 grams, and goes a long way. Mahoosive Ribbon Yarn Pattern by Annaboos House. To celebrate the launch of our new Mahoosive Ribbon Yarn, the talented Sarah Shrimpton of Annaboos House has designed a free pattern for you. Pop over to her Blog to see more. 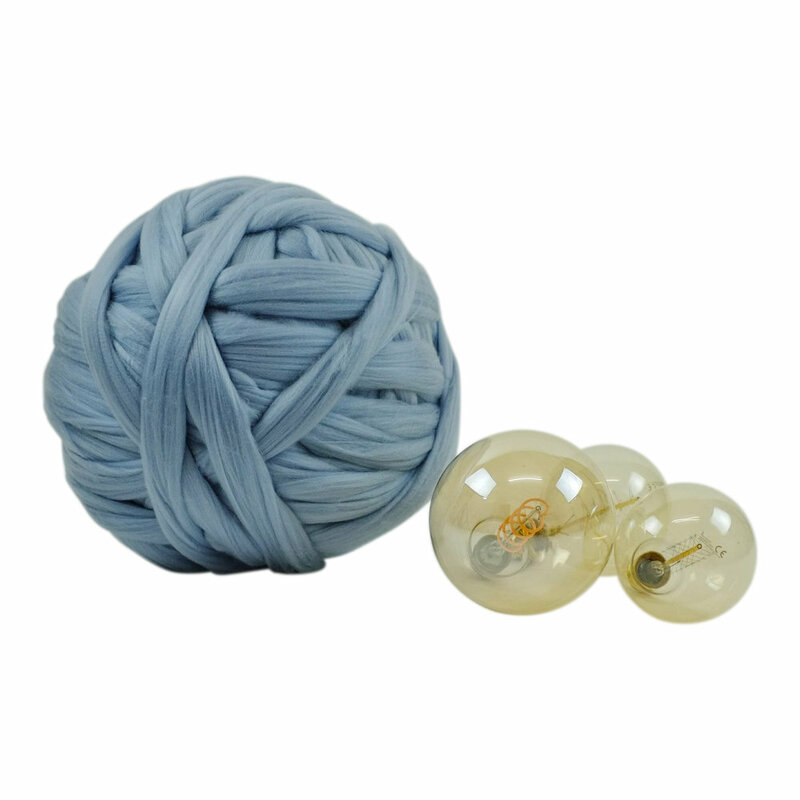 This bag is quick and easy to do and uses approx 33 meters of our Mahoosive Smooth Ribbon Yarn. Finished size 25 cm x 25 cm approx. So, we have been very low on stock for some weeks, and many emails asking when stock will be arriving. Well yaaaaaaaaaaaaaaay, at last tomorrow sees 3 deliveries in one day. Our new Giant Merino colours are arriving along with the most exciting part, our new Mahoosive tape yarn. We will also be getting another delivery of some Giant Knitting Needles and Hooks. We will be working as fast as possible to get these photographed and prepared for sale as quickly as possible. Also we are expecting on 12th September some of our new Mammoth Yarn colours. Just 5 tonnes in this delivery! We will take delivery of another 12 tonnes in early October. Mahoosive Pink Ribbon Yarn Smooth. I'm not a great blogger. So, if you regularly look on Woolly Mahoosive's blog, you will see it is not updated very often. I intend to change this! I will get myself organised! That's a statement. Its meant to show that I am definitely going to do this, just like the diet. No honestly that never happened. The Blog will!.. So I think a news update. Last year we had some outbuilding converted as a warehouse. I never posted the pictures of the finished job, as once finished we had expanded so fast that the building was too small. Hence a huge shipping container in the garden. Things have move on since then, we need more space. The problem is we are in open countryside, we don't want to work on an industrial estate and sit in traffic to get to and from work. We love to look out onto the garden and open fields. So we now have a dilemma. You may have seen we have "sold outs" all over the website. I think due to the totally rubbish summer ( especially up norf ) we were way busier than expected. New stock will be arriving next week, just 5 tonnes of our Mammoth giant yarn and in another 4 weeks, 12 tonnes of the dam stuff. Where on earth do I put it all. I have a maximum of 3 weeks to find somewhere. Eeek, and that's a Mahoosive Eeek! I just love pressure. So lets move away from my stresses. We do have approx. 18 colours in Mammoth and another 10 in merino. The colours are all unique to Woolly Mahoosive and designed by us with a great deal of thought and research. We have looked at interior trends. Its such an exciting thing to do, and a little scary. Our research came up with the block intense colour, a shock of jewelled colours with the odd pastel and metallic tone thrown in. It sounds weird. In fact the colours seem really not to go, and are very unusual but amazingly they look fab together. Dusty pink, greys and metallic tones. Love the deep purple and vibrant blue of the glass vase. The pastel cushions add a real softness. Love how the yellow brings the statement green and the bronze sofa throw together. No need to be scared of yellow. Love the little gold accents on the cushions and the box on the tables. This pink sofa and the teal walland the light fitment has to be one of my favourites and a perfect example of the trend. I will be posting the new merino colours in the next few days, you may have seen a sneaky peak on Instagram. Anotherexciting development is our new Mahoosive Ribbon Yarn. More on this later in the week. I'm off to look at storage, Mahoosive storage. Have a great Bank holiday Monday. The sun is shining. Its now a year since Sarah Shrimpton from Annaboos_house contacted me regarding a new book she was writing Supersized Crochet and in 9 days the book is finally released. This is Sarah's 4th book. She started crocheting just over 5 years ago: obviously she has found her vocation. Sarah's designs are beautifully current and suitable for beginners to the more expert crochet addicts. I always appreciate the simplicity but effectiveness of her designs. Its a book full of patterns you will want to make!If you are a "wanna be" crocheter, but worried about the cupboard becoming full of "wips" you will not have to worry. All the designs make up quickly so you wont get bored or struggle to find the time. That Hygge feeling can be yours.I was thrilled that Sarah not only wanted to use Woolly Mahoosive yarns, but wanted me to review the book too. Being a busy lady myself, "I'm the cobbler with no shoes", I picked the most simple and quickest of her designs. This is a fine example of Sarah's simple yet effective designs that's totally suitable for the novice. Sarah uses our "Wiggly" yarns in her pattern, but I wanted to try it with our mammoth yarn. I wanted to do a pad for the blue chair. All the rage at the moment but slightly clinical. I did a chain of 9 stitches for this one. It used 700 grams and I used a 40 mm hook. You could use a smaller hook, a 25 mm, and keep the tension much looser. I tried this but really wanted to use the big hook. At Woolly Mahoosive we always go big! For the brown chair I made a chain of 8 and it fitted perfectly. This one used 600 grams of Mammoth in Off White. I tightened the tension slightly on the last 2 rows so it fitted the chair shape. I also used 6 strands of embroidery thread in a colour to match the room to secure it to the chair. 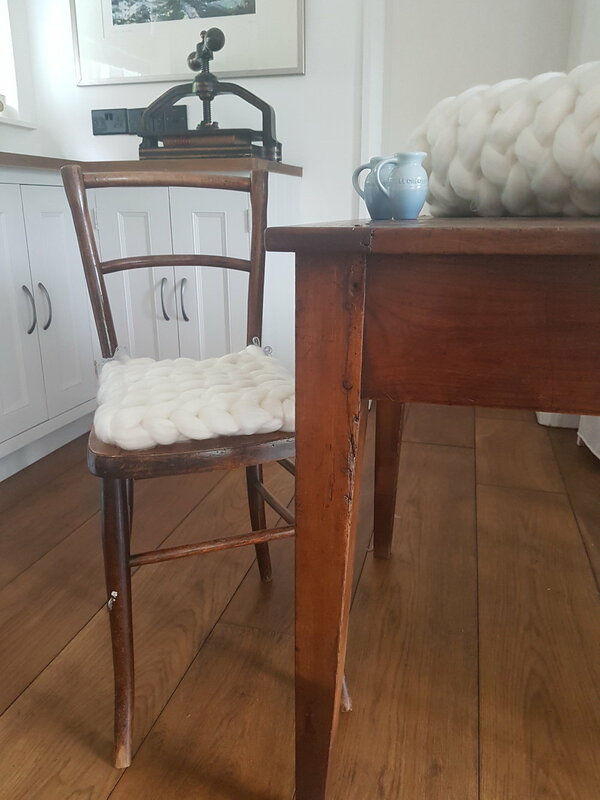 I'm really pleased with the result and it adds some comfort and luxury to two basic chairs. You can get a copy of Supersize Crochet on Amazon US, Amazon CA, and Amazon UK right now – and after you place your order, you can get a FREE copy of her “Gelato Snood” pattern! (Offer valid until 25/05/17) After you have placed your order, click here to receive your free bonus project (you’ll need to input your order number, so have that handy). And if you don't already follow Sarah find her on Instagram for her beautiful feed. You must also take a look at her lovely blog where you can find more reviews for the book and take a sneaky peak inside. Mahoosive! It is a real word. People often ask me how I came up with the name Woolly Mahoosive, especially the Mahoosive part. After a little googling I am apparently a lot younger than I thought! A news article from Dec 2014 states "well jel, man crush and mahoosive are likely to be meaningless to anyone born before 1990". Well that knocks a few years off as I had already known of and used the word, Mainly as I loved saying it. It is one of my two favourite words the other being thixotropic. You will have to look that one up. So at the end of December 2014 Mahoosive became a real word and was added to oxforddictionaries.com. It means exceptionally big or huge. It goes on to state probably derived from the word massive and the word huge. Errr probably, it defo is (me being down with the kids again). Obviously Woolly comes from the yarn part, and Mahoosive describes exactly what type of yarn, huge massive super big etc. I also wanted the name to convey a younger more on trend impression. I think Mahoosive does this perfectly. As part of my research for this blog, it was nice to see when entering Mahoosive into the search box that my webpage does in fact show up on the first page, after all the dictionary definitions. 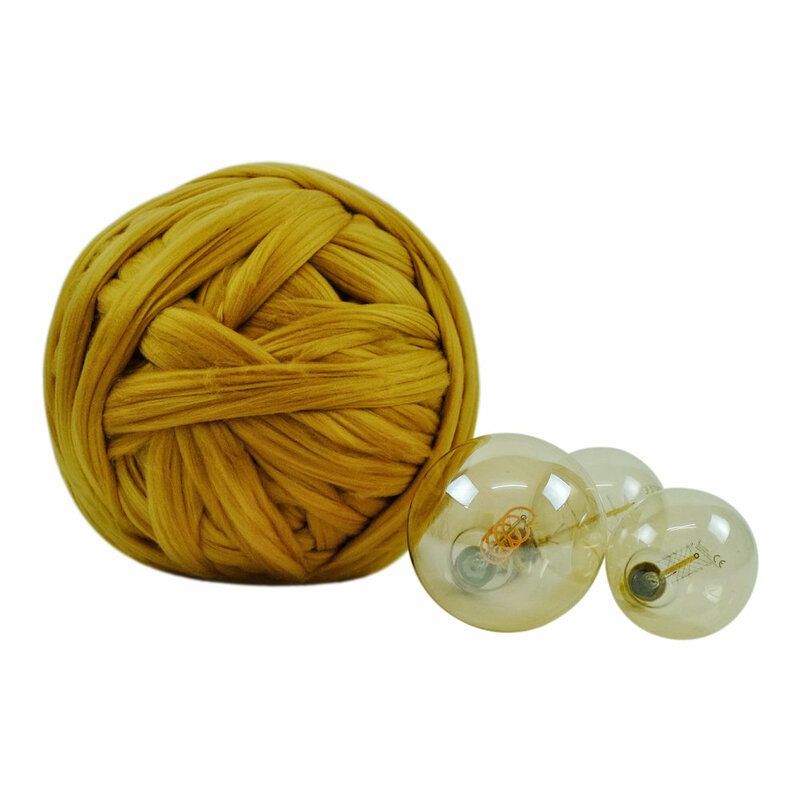 Clicking on images brings up lots of lovely mahoosive balls of Woolly Mahoosive giant merino and the mammoth yarns. So all in all, I still love the name I have chosen. Ps If you like words see The Free Dictionary. My lovely dining room, not any more, after a busy day.